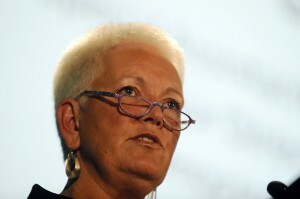 President Barack Obama intends to nominate Gayle Smith, his adviser and the senior director for development and democracy at the National Security Council, as the next administrator of the U.S. Agency for International Development, the White House said Thursday. “Gayle’s energy and passion have been instrumental in guiding America’s international development policy, responding to a record number of humanitarian crises worldwide, and ensuring that development remains at the forefront of the national security agenda at a time when USAID is more indispensable than ever,” the president said in a statement. If confirmed by the Senate, Smith would succeed Rajiv Shah, who left in February. He held the post since 2010.